Ranveer Singh has decided to move out of his family home and shift closer to the 'Bajirao Mastani' set. After nursing a shoulder injury recently, Ranveer Singh is now moving away from home to become ‘Bajirao’. Riding high on universal applause that he earned as the urbane, gentle Kabeer in ‘Dil Dhadakne Do’, Ranveer is dealing with a shoulder in recovery and the tough role for his forthcoming ‘Bajirao Mastani’. Currently, he shoots for 12 hours every day and spends another 4 hours in physiotherapy to strengthen his shoulder as the film requires him to perform heavy-duty action in elaborate costumes. 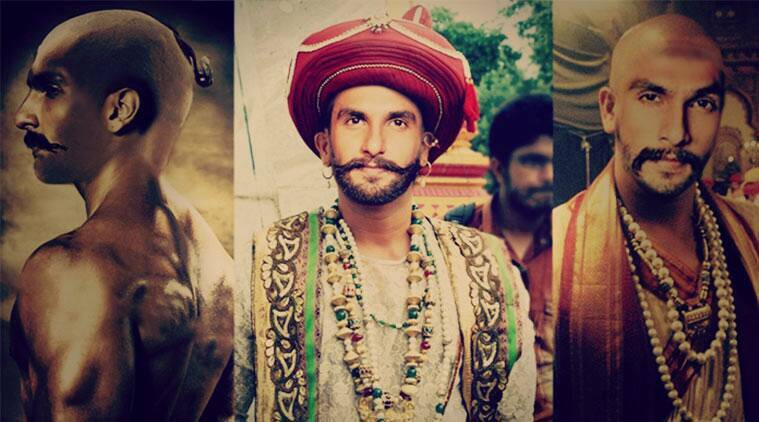 Intense in every sense, Ranveer also needs to remain in character as ‘Bajirao’ to play this historical figure. To prepare for this part, he shaved his head and chose to live in semi isolation before the film went on floor. As Mumbai’s unprecedented heavy rainfall impacts traffic, the actor feels he is losing too much time in commuting from the film’s sets to his home in Bandra. Therefore, Ranveer has decided to move into a new apartment in Goregaon to be closer to the film’s set. With traffic woes & with a shoulder in recovery, he needs all the spare time that he can get to heal & focus on his part. Therefore, the actor, who has never moved out of his family abode, has moved into this new apartment for practical reasons. Apart from physical transformations and unhindered commitment to one single film for a year, Ranveer has chosen to leave behind the comforts of his home to ensure that no external factors impact his work for this Sanjay Leela Bhansali epic.